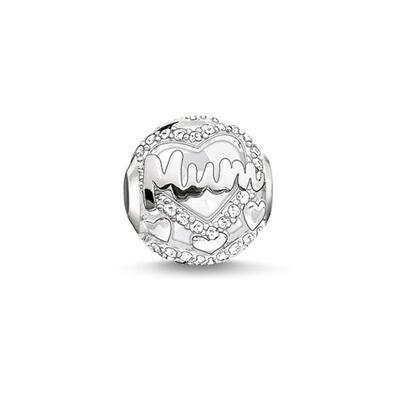 This Thomas Sabo Karma Bead is a beautiful gift for the most important lady in your life. Classic and stylish in 925 Sterling Silver, this symbol of love is a fabulous way to say 'I love you'. For a sparkling finish, this Karma Bead is delicately detailed with white cubic zirconia pave.